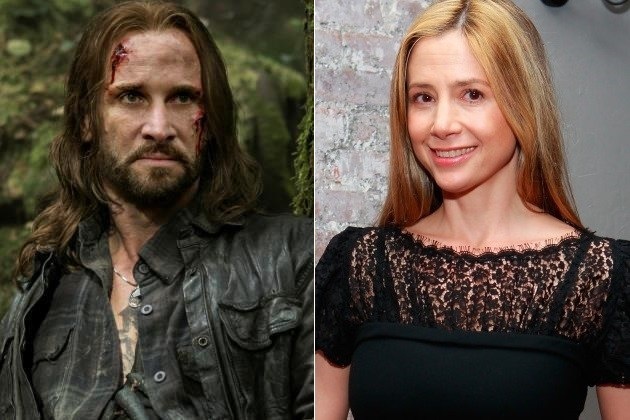 Academy Award winner Mira Sorvino is coming back to TNT. She’s not the state trooper she recently portrayed on Trooper, though. Sorvino plays a graphic designer forced to adapt to survival in America after an alien attack, as a new cast member to TNT’s 4th season of beloved series Falling Skies. A chance meeting with the convicted felon and opportunist, John Pope (Colin Cunningham), leads her to join the resistance and form a personal bond with the outlaw. Her character, Sara, never felt more alive, free or fearless as she does when she’s fighting next to the ensemble cast against the next alien insurgency. Sorvino joins the cast featuring the talents of Noah Wyle (ER, Donnie Darko), Maxim Knight (Disney’s Special Agent Oso), Drew Roy (Secretariat, Hannah Montana) and Seychelle Gabriel (The Last Airbender, Revenge). This entry was posted on Tuesday, October 22nd, 2013 at 10:07 pm	and is filed under News, Television. You can follow any responses to this entry through the RSS 2.0 feed. You can skip to the end and leave a response. Pinging is currently not allowed. « ‘The Walking Dead’ Season 4 Recap – Episode 2 ‘Infected’! !